Lake Carucedo was formed from the mud slides triggered by the mining of the Médulas. Situated 6km from the Médulas, Lake Carucedo is a great place to enjoy the landscape and water during the summer months. This conservation area has a picnic area, bar and other services for your convenience. 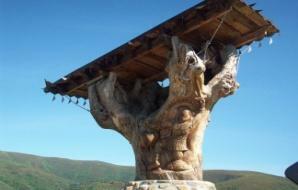 The viewing area is located 5km from the town of Carucedo and overlooks the village of Orellán. This is an excellent place from which one can discover the best view of the Roman Medúlas. The vantage point also allows visitors the opportunity to enter the tunnels water flowed through after falling from the high peaks. At the Medúlas, tourists can learn about the area history at the archaeological site, or schedule a guided tour of the mountains. 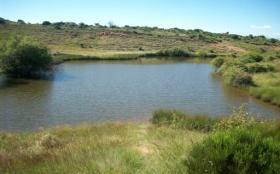 Visitors also have the opportunity to walk the the 3km route to Lake Somido. The walk around these sites is quite easy and there is very little gradient. On the walk tourists can learn more about the Roman lifestyle. The route is a stretch of about 3 or 4 kilometers in length and takes 15 to 30 minutes to walk. On the way back to Ponferrada or Cacabelos, this Templar fortress is a necessary stop. You might recognize it from a scene in the novel, Lord of Bembridge. The fortress was renovated for visitation and now houses the “Knights of Ulver Association”. 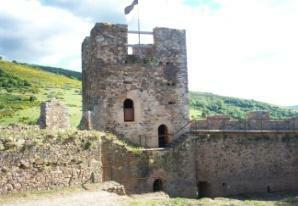 The castle also has one of the most beautiful panoramic views of el Bierzo. 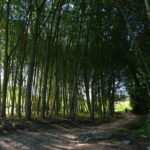 For the more adventurous, we recommend this route, or part thereof, for its ancient trails of Camino de Invierno o Camino Real variante del camino de Santiago. It is a 35km journey from Ponferrada, bordering the Pajariel and passing Cornatel Castle in Priaranza del Bierzo, the Médulas and Puente Domingo Florez. 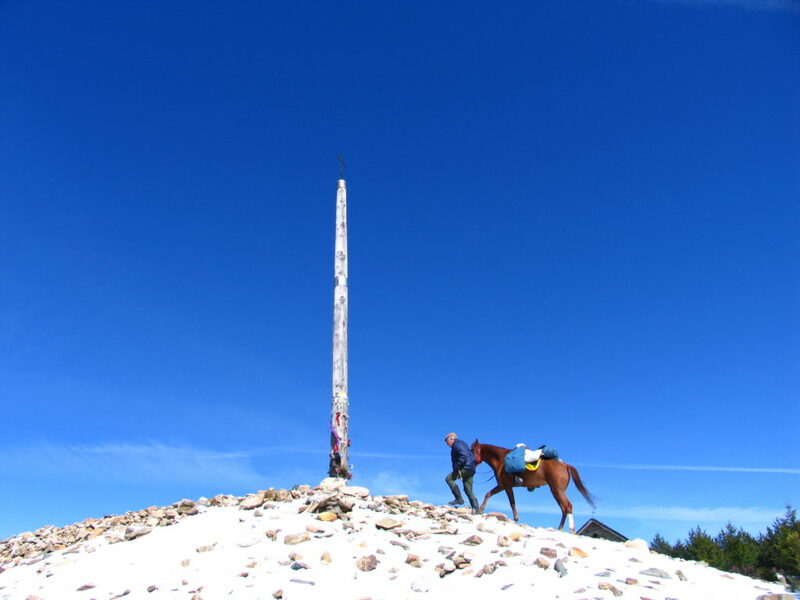 Historically it was used by nobles and kings to avoid the snows of O Cebreiro in winter on their route to Santiago and was the same route used by the Romans to arrive at the Medúlas. 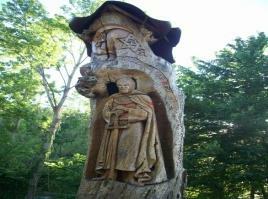 Also make a stop in Priaranza del Bierzo and enjoy the magnificent wood carving of the Templar Knight. Los Ancares is a mountainous area in the northeast of León bordering Lugo and Asturias. 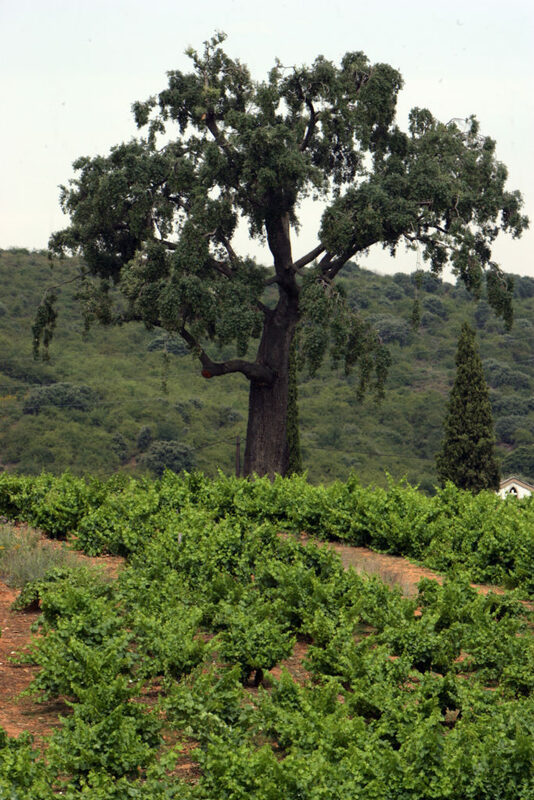 The region’s name comes from the lake that traverses it, and consists of the villages in the municipalities of Vega de Espinareda, Villafranca del Bierzo, Fabero, Páramo del Sil, Palacios del Sil, Villablino, Peranzanes and Candín. Formerly, only the Ancares Valley was a part of this region, but Burbia, Fornela and Balboa were included over the course of the 20th century. The Monastery of San Andrés is located in the Vega de Espinareda municipality and dates back to the tenth century, despite its numerous restorations which have resulted in its neoclassical look. 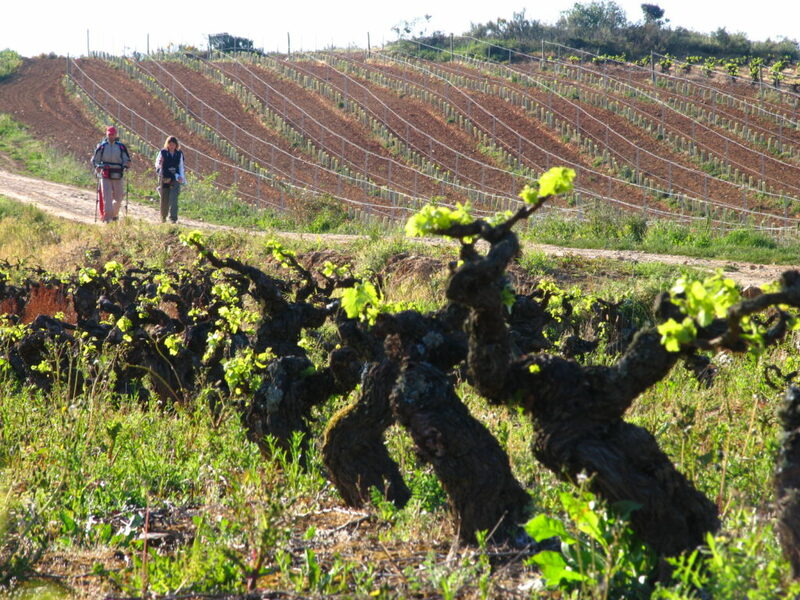 Peña Piñeira offers some of the oldest catalogued cave paintings of Sésamo in the province. They date back to the Chalcolithic and Early Bronze Ages. The Pago de las Murocas gold mine was excavated by the Romans who used water to extract the minerals and learn the topography of the area. It is located in Candín. If you’re touring Fornella Valley, be sure to check out Castro de Chano and certainly don’t miss the Trascastro Dances. Castro de Chano is a settlement located in the northwest of the valley that was supposedly inhabited in the first century BC and first half of the first century, AD. El Castro can best be described as a grouping of several edifices positioned in a circle. It is believed that the settlement is a small portion of what was once a much bigger city. Evidence shows that the city was left suddenly but for unknown reasons. In El Santuario de Nuestra Señora de Trascastro there is an annual celebration of a pilgrimage where locals will perform ancestral dances to the beat of drums, and be evaluated by judges. These dances are know as Danzas de Trascastro (The Trascastro Dances). If you can’t make it to Pago de Murocas, La Leitosa in Burbia Valley offers you a second chance. Located near Paradaseca, La Leitosa is another mine like Medúlas where the Ruina Montium technique was used in extracting gold. 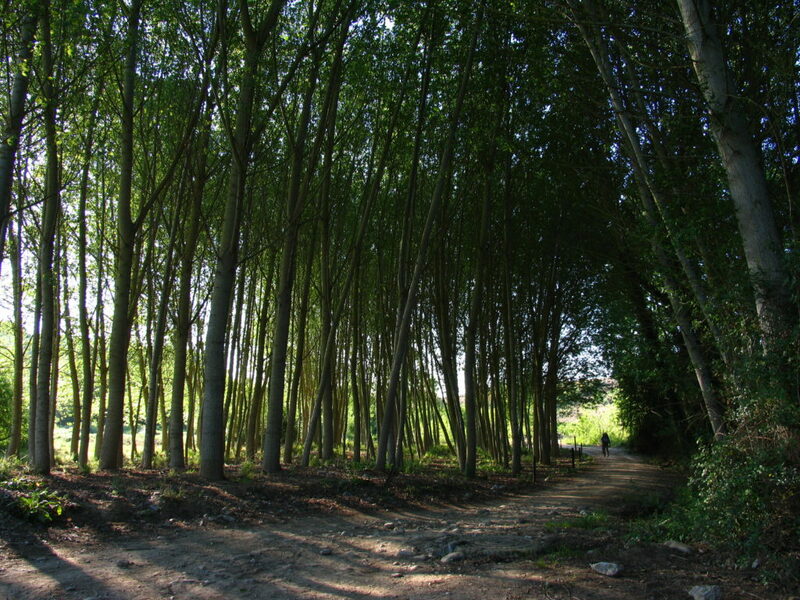 To conclude your visit, you must see Campo del Agua. The town is unique for its peculiar architecture. Pallozas are traditional buildings with circular walls of stone, and conical roofs made of stems of rye. Farm animals lived beneath these Pallozas with the families while other Pallozas were used specifically for storing food. The Santa Marina church was built in the sixteenth century with Renaissance age styling but with Roman accents. The church features its Mannerist altarpiece, created by Lucas Forment. 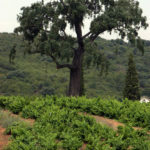 The pallozas of Balboa are well known in Bierzo. These constructions lead to the restaurants and hostels that pilgrims often pass through on their way to Santiago. Valle del Silencio can be found at the foot of the Montes Aquilianos and is the largest forested area in Ponferrada with 30,000 hectares. Beginning at the famous Cruz de Ferro and including the town centre of Ponferrada, Valle del Silencio runs parallel to the Oza river. For its history, the valley has become a place of meditation and one where monks come to take shelter. 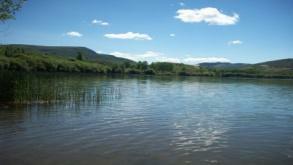 There are several towns in the region that are certainly worth a visit if touring the area. The village of the Montes de Valdueza and the San Pedro de Montes Monastery are the principle attractions of this region. The Monestary is known as the Rupianense by the locals for its close proximity to a pre-Roman fort called El Rupiano. 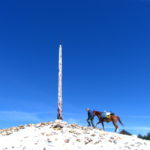 The Ermita de Santa Cruz and the Ruinas de la Herrería are two other sites worth a visit in Montes de Valdueza. 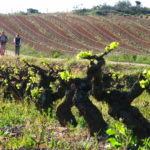 In recent years, Montes de Valdueza has become a popular destination among eco-tourists for the scenic hiking trails that surround the town. 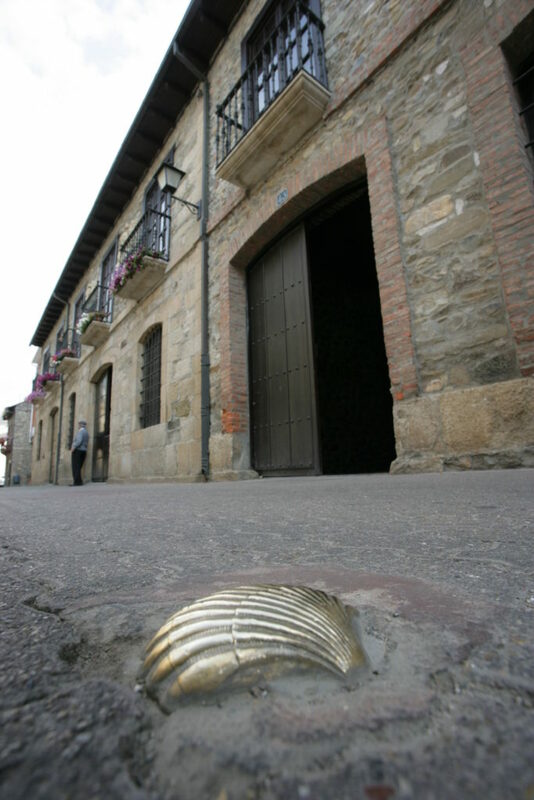 Just south of Montes de Valdueza you’ll find another small village with great charm: National Historical Landmark, Peñalba de Santiago. Peñalba de Santiago’s crown jewel is its main church. Built in 937 of unquestionable Moorish styling, the church has a double door, horseshoe arch, and rectangular frame that rests on three pillars. 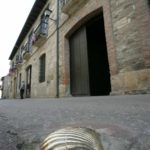 However, visitors of Peñalba de Santiago will not only be impressed by the church. Other picturesque places include the cave of St. Gennadius. The cave served as a shelter for monks passing through the area. The cave is quite small and has only one small opening in its ceiling that lets in light. Within the forests of the Montes Aquilianos, there might not be a building that defines the spirit and character of Ponferrada better than the Castle of Templars. In fact, the castle’s bridge, “pons-ferrrata”, is what gave the city its name. The castle was constructed over the Sil River and was donated to the Templars to preserve the Camino de Santiago, and the pilgrims making their journey. The castle was later abandoned.